While many works of design explore a blunt, diagrammatic simplicity, others challenge the viewer to fill in the blanks. Inspired by cubist collage, E. McKnight Kauffer created images with fluid boundaries. 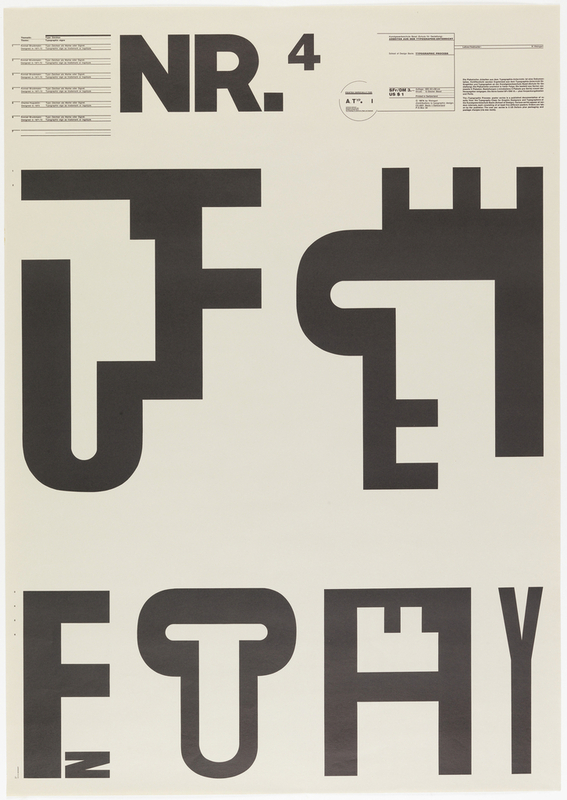 Wolfgang Weingart turned letters into parts of bodies and parts of other letters, playing with text as both language and not-language. In a series of extraordinary experiments produced in the 1970s, Weingart’s letterforms alternate between figure and ground, clustering and grouping to form larger structures.